Mental health patients are guinea pigs when they are prescribed an array of psychotropic medications and subjected to a host of invasive procedures, such as ECT. At least Dr. Minuchin’s assessment for the cause of mental disorders offers optimism while remedy is benign and unintrusive: if you discard unhealthy relationships and situations, you will be symptom-free. A symptom free life is therefore possible without being subjected to invasive medications and procedures. Dr. Minuchin has recognized that he is a salmon swimming upstream when he articulates this; but think about it: if his analysis was to become the norm, then 90% of the psychiatric community would need to become educated about relationship therapy. And it would also be more costly for the health insurance industry, which would then have to incur the expenses of reimbursing for more protracted relationship therapy instead of for the quick fixes of drug therapy. No wonder there is such resistance to accepting this not so novel assessment of mental health diagnosis—-in spite of 60+ years of empirical evidence and scientific support for this perspective. Although this may come as a shock to many readers, our current state of psychiatric diagnosis is NOT science. If it were, then psychotropic medications would not need to be persistently adjusted up or down in dosage, completely changed, and/or supplemented with other medications. The simple explanation for why medications so frequently fail to achieve a reduction in symptoms is because symptoms do not result from a chemical imbalance. Just compare the administration of medications for medical disorders: when, for example, an antibiotic is given for an infection, it is highly probable to be effective in resolving the symptoms. And if Dr. Minuchin was to be asked, he would likely explain that it is a patient’s history of having taken psychotropic medications that subsequently caused her/his chemical imbalance: in essence, such medications had upset a NORMAL chemical balance. Do not take my word for it: read the many books by Dr. Minuchin and the previously referred- to psychiatrists—-all of whose writings are listed in the reference at the conclusion of this article. Dr. Minuchin’s opinion is supported by the recent research of Dr. Irving Kirsch, psychologist at Harvard University, who discovered that a placebo was equally as effective as were antidepressants in treating mild to moderately depressed patients. It was only the small percentage of highly depressed patients who responded better to antidepressants. If the diagnosis of anxiety and depression is so imprecise, why should one believe that any other diagnosis in the DSM is reliable—such as that of ADD and ADHD? There is unequivocally no reason to believe this. In my 2012 book, The Parental Alienation Syndrome: A Family Therapy and Collaborative Systems Approach to Amelioration, I documented a number of children who were placed on psychotropic medications for alleged ADHD and/or for bipolar disorder but whose symptoms completely mitigated when the PAS was reversed and eliminated. Amazing! There is—all too frequently—a rush to judgment when diagnosing children. Who can dispute the immense influence of parents on children and the depth that parental conflict adversely affects children? 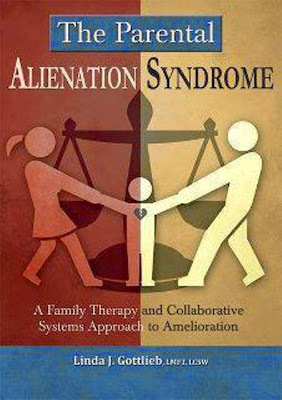 The unforgiveable failure of the psychiatric community is that input from both parents is generally not sought, thus resulting in that dysfunctional family dynamics cannot be ruled out as being the cause of the child’s symptoms. When, for example, parents are pulling in opposite directions or when one parent requests the child’s allegiance in that parent’s battle with the other parent, the child will undoubtedly exhibit irritability, anxiety, depression, impulsivity, inattention, and a myriad of other symptoms. The child is like a rope and a tug war between her/his parents, and just like the rope, the child will unravel. I wrote about a sibling group of 3 children ranging in age from 10-15, all of whom were diagnosed with ADHD and bi-polar disorder. They were living with their narcissistic mother who repeatedly cursed them and deprecated their father. Without seeking any input from the father or assessing the dysfunctional family dynamics, the psychiatrist placed each child on a strong regime of the most potent psychotropic medications. I was no surprise to me that there was no mitigation of any of the symptoms. The children were subsequently transferred to the custody of their father, and he took them off all the medications. All three children were soon functioning within normal limits emotionally, cognitively and behaviorally. In the case of a 6-year-old boy living with his grandmother, he became hysterical in school and ran out of the front door after his hamster had died earlier that day. There were no prior emotional or behavioral disturbances in the boy. Nevertheless, the school insisted that the grandmother take the boy for an immediate psychiatric evaluation lest a report to CPS would be filed. The psychiatrist who evaluated the boy failed to become curious about why he was living with grandma. Had the psychiatrist been curious, he would have discovered that the boy had previously witnessed his stepfather physically abusing his mother on a regular basis. Diagnosed by this psychiatrist with bi-polar disorder at the tender age of 6, the boy was clearly transitionally and not bio-chemically depressed. It was apparent to this family therapist that the root of the boy’s depression arose out of the combined losses of a protected home life with his mother prior to her marriage to the step-father and then having been removed from her altogether and that these loses were stimulated by the death of his hamster. In a case of an 8 year old boy, the school requested that he obtain a psychiatric evaluation for depression, and the psychiatrist predictably recommended anti-depressants upon only a 15 minute discussion (I will not even call it an evaluation.) Fortunately, the parents rejected the “prescription,” and sought out family therapy with me. I was so promptly struck by the father’s affect, which unmistakably conveyed his depression, that I intuitively asked him, “When was the last time your wife made you smile?” His young, allegedly chemically depressed son summarily bellowed, “Never!” The parents glared at the boy in amazement, and the mother then exclaimed, “I knew that we were the problem. My husband and I should have been in this office a long time ago.” It could not be more evident how the boy’s depression did not originate in a bio-chemical disorder but was, instead, symbolic of his father’s situational depression resulting from an fulfilling and emotionally detached marriage. I can cite multiple more, horrific misdiagnoses of young children for ADD/ADHD and for the more serious bi-polar disorder—all because the family situation was not assessed for its impact on the child. It is no accident that ADD/ADHD is the most misdiagnosed disorder of childhood. And it is rapidly and incredibly being replaced by the diagnosis du jour—that of bi-polar disorder. Given that mental health disorders are merely impressions, it is incumbent upon the diagnostician to properly assess for family dysfunction and influence on the child before rushing to prescribe psychotropic medications, which all have serious long-term side effects. Ackerman, N. W. (1961). The emergence of family psychotherapy on the present scene. In M. I. Stein, (Ed. ), Contemporary psychotherapies. Glencoe, IL: Free Press. delusional formation: A case study in family therapy. In I. Boszormenyi-Nagy & J.
Famo (Eds. ), Intensive family therapy (Ch. 6. ), New York, NY: Harper and Row. Ackerman, N. W. (1966). Treating the troubled family. New York, NY: Basic Books. nervosa in context. Cambridge, MA: Harvard University Press. NY: John Wiley & Sons. symptom to system. New York, NY: Pearson. therapy. New York, NY: Harper Perennial. Whitaker, C. (1983). In M. Andolfi, C. Angelo, P. Menghi, & A. Nicolo-Corigliano. Behind the family mask (p. vi). New York, NY: Brunner/Mazel. approach. New York, NY: Brunner/Mazel. 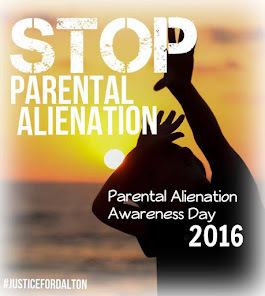 At the very least, what has been acknowledged here is the conditions that must be present for alienation of one parent to occur. 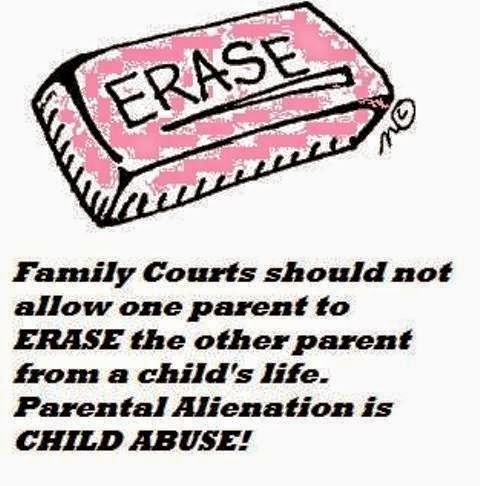 This is similar to what Dr. Craig Childress calls the 'parental alienation dynamic'. Same/same. All it really amounts to is the DSM IV acknowledging that these behaviors can lead a child to have cognitive problems of feeling 'unwarranted feelings of estrangement' towards what we call the 'target parent'. Should men become husbands and fathers—and many men today are choosing not to—they don’t stand a chance in a court of law if and when they get divorced. 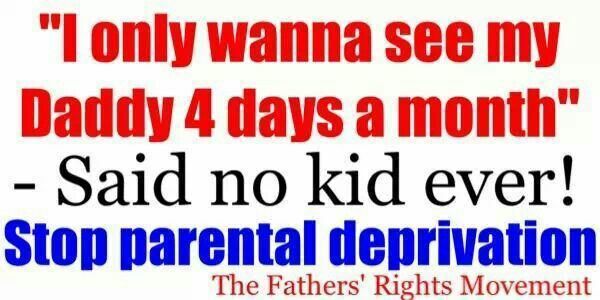 Family court judges are hopelessly biased against fathers. Of the two million restraining orders issued each year—85 percent against men—half don’t include any evidence of violence but rely on vague complaints made without proof or evidence. 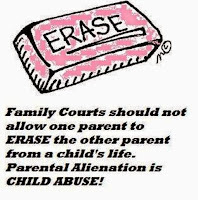 And once an order is issued, it becomes nearly impossible for a father to retain or regain custody or even get to see his own children. 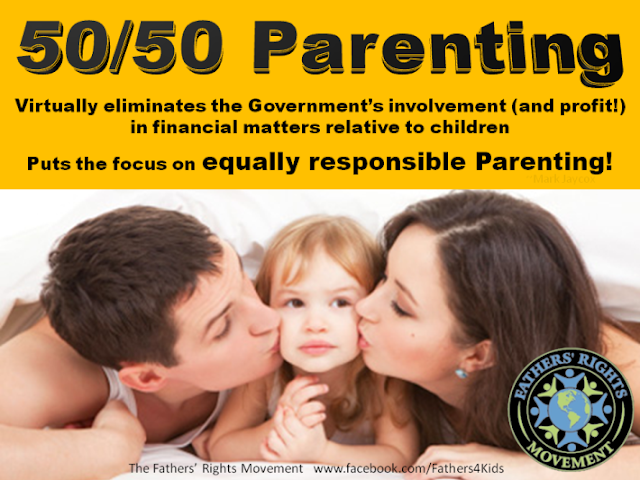 “Right under our noses, massive systemic injustice is being visited upon fathers, threatening the very fundamentals of family, society, and democracy,” writes Todd M. Aglialoro. How to file complaints against Florida Judges and Florida Lawyers? Each State has its own procedures for filing complaints against judges. All states require a written and signed complaint. Some states have a form for you to fill out. Other States request a letter. Grievances of misconduct usually concern issues of conflict of interest or impartiality. Adverse rulings or judgments are not considered legitimate grievances. You must support the complaint about the Florida Judge with sufficient documentation. Contact the Florida Judicial Qualifications Committee. All states maintain an agency to process lawyer complaints. These disciplinary counsels can usually be found as a department of the state bar association or as a branch of the state supreme court. Complaints can be filed by filling out a form supplied by the disciplinary counsel or by writing a letter to Florida Bar. Check the Florida web site http://www.floridabar.org to find the requirements for a complaint about a Florida Lawyer. Thanks for your comments! 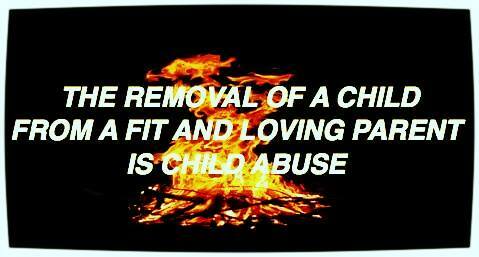 In addition there are forms of abuse. 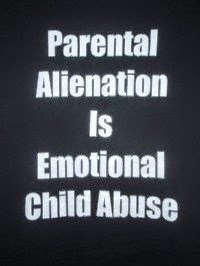 This type Psychological Abuse or Family Legal Abuse can cause a parent(s) a traumatic “injury”. 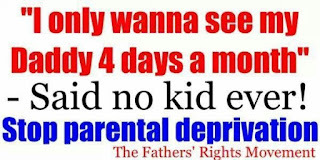 We’re talking about very serious, blatant civil and human rights violations allowed on the part of the Family Court. Sad…but true. Often times it is caused by the excessive tactics some family law lawyers will go to knowingly and intentionally make sure they physically and psychologically injure their opponent by trying to make there client looks like the victim, What this also does is to financial cripple good and FIT parents while they hope they will give up on the child/ren and go away. In South Florida we have a few of these types of lawyers in the upcoming expose on Garbage Lawyers.